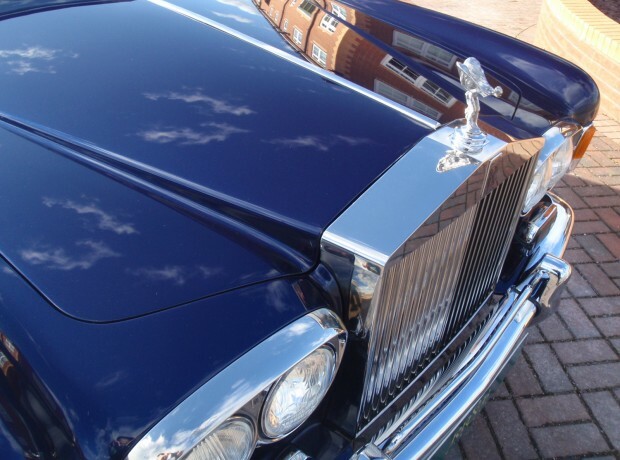 Rolls-Royce & Bentley are renowned for their high standard of paint finish. We at RR&B have a worldwide reputation for the quality and longevity of our paint refinishing; this being recognised by many concourse wins and recommendations from existing clients. Our staff are fully qualified and routinely go on specialist training courses to ensure their product knowledge is up to date. Their skills ensure that damage is repaired to an undetectable condition, with full repaints to show winning standards. Whether a local repair or a total bear metal repaint the same methodical procedure takes place, traditionally hand preparing the panels and primer coats with the latest 3M abrasive products. These standards are only obtained with methodical working practices in a high quality temperature controlled building and applying the paint in our state of the art Dalby spray booth with a Dune Air Quad System, enabelling us to use the latest water based and compliant paint systems. Paint materials are constantly being improved to extend the longevity and quality of the finish. 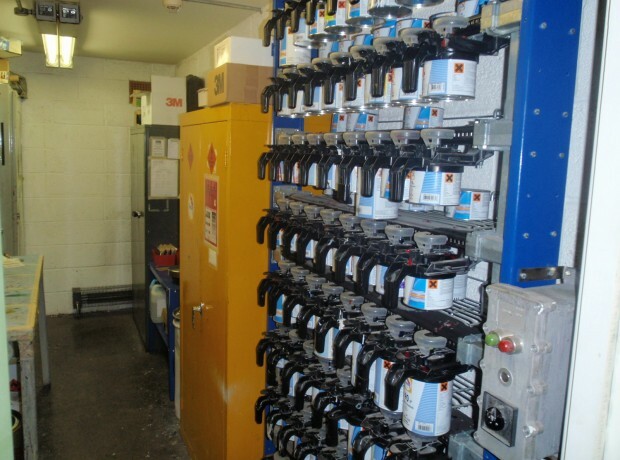 We use the latest paint technology with the best products available to us at the time, currently being the BASF systems that are approved by Rolls-Royce and Bentley Motor cars, the Glasurit paint mixing schemes with its PROFI colour matching programme allows our paint shop to match any colour to perfection. Once the paint and lacquer have been applied they are hand flatted and machine polished to a high gloss mirror finish and then applying by hand, painted fine lines. 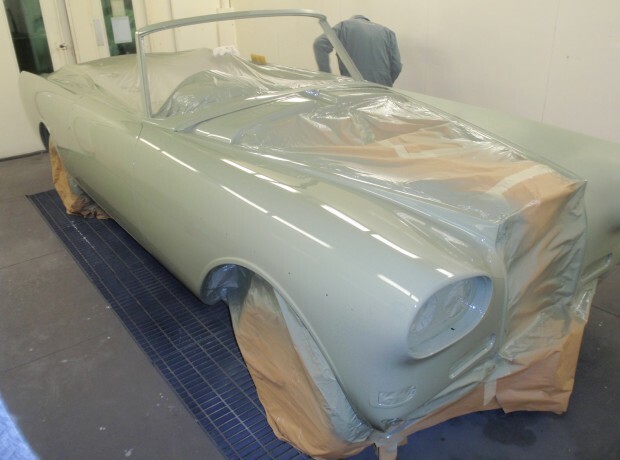 We know many restorers claim they can repaint Rolls-Royce and Bentley motor cars but very few of them have the facilities or the skills to achieve the standards we do. 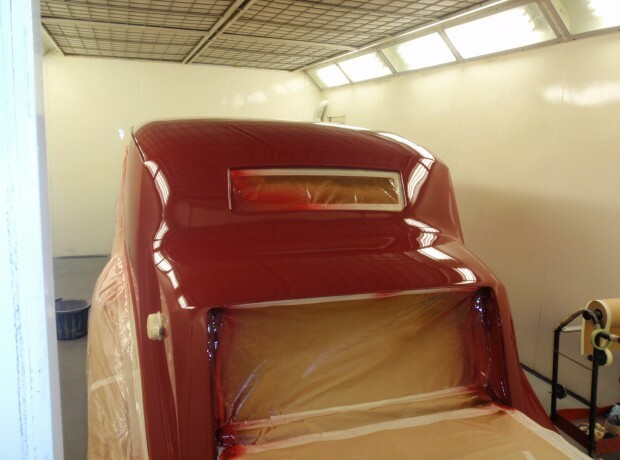 Should you be considering a full repaint and with this being a big investment we strongly advise you take the time to visit our work shop to view for yourself the standards of our work and without obligation talk with our staff who will be pleased to advise and estimate on works you require. We know you will be impressed with our standards and the guarantees we provide will give you the confidence to entrust us with all of your paint work requirements.